I just want to take a moment and say Happy 100th Birthday to my Grandma! 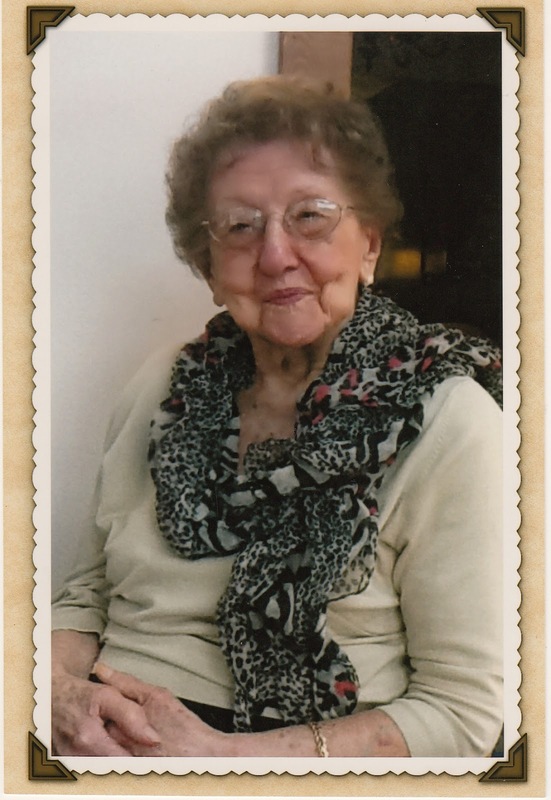 My Grandma Seligman celebrated her 100th birthday this week. She is an amazing woman that is sweet, smart, beautiful, and really funny! I don't mean to brag, but I come from really good genes. 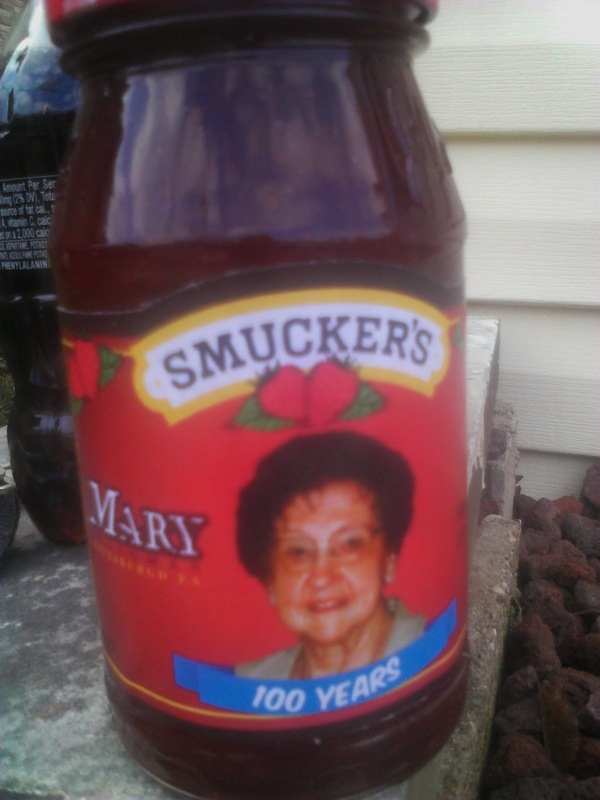 Turning 100 years old is an accomplishment that apparently gets you on on a jar on Smucker's Jelly. I hope to follow in Grandma's footsteps and be on a jelly jar someday. Dream big! Mary Seligman is 100 years old. I was so proud of it that I posted Grandma's jelly picture on Instagram. My Grandma's jelly picture quickly swelled to over 145 likes. Oh, how I wish I could explain to G-Ma that she had more likes on Instagram than years on this earth. Somehow, I don't think she would understand. Instagram can be a funny place. You just never know what pictures are going to garner the most likes. 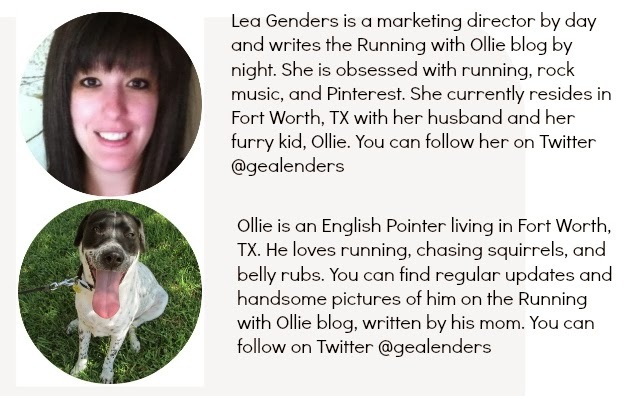 Ollie is usually a sure winner, he always gets a lot of love on Instagram. I posted a picture of my hubby's yummy shrimp tacos and they were an instant Instagram hit. Then I posted a picture of Grandma's Jelly and it's Grandma for the win. Grandma's jelly pic has 151 likes at the time of this post, but then hubby's tacos were trailing behind with 122 and hubby got competitive. Tacos vs. Grandma. Of course, it is a no-brainer. Grandma's 100 years on this earth easily trumps hubby's shrimp tacos. While delicious, the tacos are hardly an accomplishment compared to Grandma's. It's all in good fun. It's Grandma for the win. Weigh in on Instagram with your "like" vote... Grandma or Tacos. Do the right thing. Wish Grandma a Happy Birthday in the comments. In case you missed it, Ollie wrote a guest post on my blog and he wants you to enter our reader appreciation giveaway for a $50 gift card. Ends 4/7/14. A very happy birthday to your grandmother! She looks amazing for 100 years old!